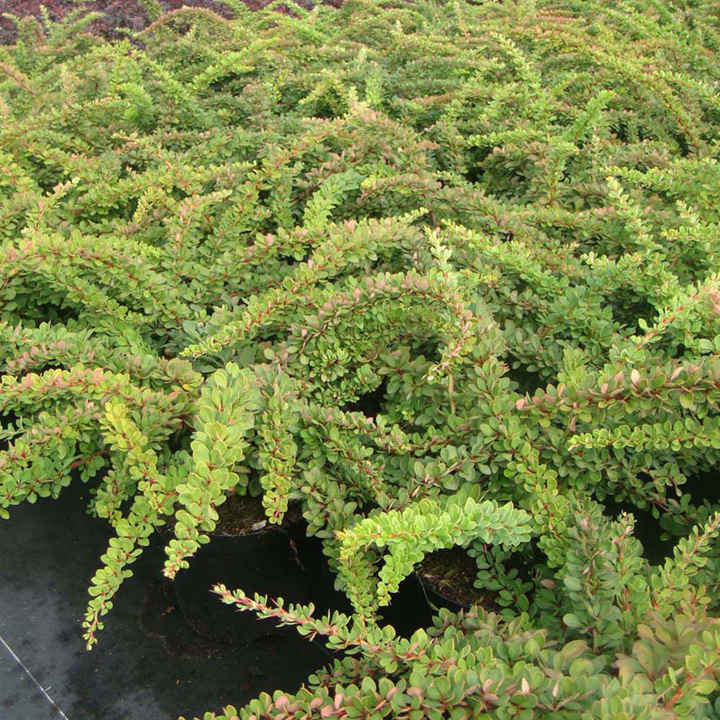 Berberis thunbergii 'Green Carpet' is a great way to add colour to your garden. This deciduous shrub has bright green foliage and pale yellow flowers. These flowers attract the pollinating insects that help make the berries in turn attract the birds. The foliage will turn crimson red and orangish-yellow in autumn making it one beautiful addition to your garden. It is great for ground cover too as it has a low, spreading habit. Flowers April-May. Height 50-60cm. Supplied in a 3-4 litre pot.